Using Bizmanualz procedures with minor modifications can save you as much as 38 hours of time. That’s when your boss says, “Process? Did I say ‘process’? I meant processezzz! Plural!” And before you can blurt out, “What do you mean?”, the boss says you need to develop procedures for all accounting processes, not just the one. Oh, and he wants them by the end of the month! A weak “Sure, boss…” escapes from your lips as the he/she turns and leaves, but an instant later, you’re thinking, “No way!” You can’t possibly get all your accounting processes documented that quickly! Or can you? Start by mapping out the business process you need to document. 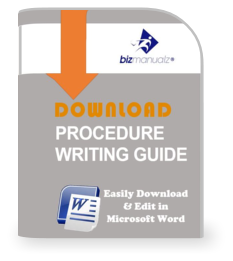 The process map acts as an outline for your procedure writing: you have to know the steps in the process that need documenting before you start writing. With process maps in hand — one for each business process — you’re ready to start writing procedures. Here’s where using pre-written procedures can save you time. 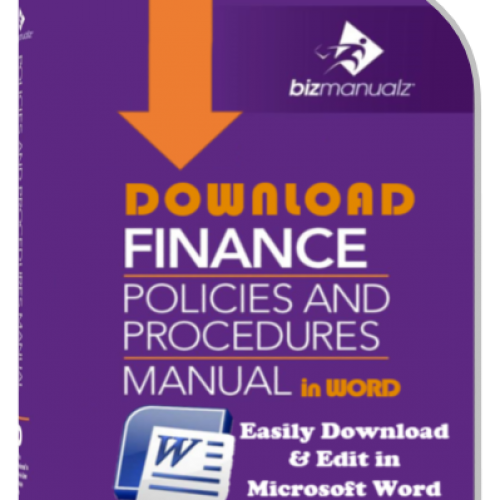 If you’re looking for sample pre-written accounting procedures for your accounting processes, the Bizmanualz CFO Accounting Policies-Procedures Manuals set contains many sample accounting procedures you can use as starting points. 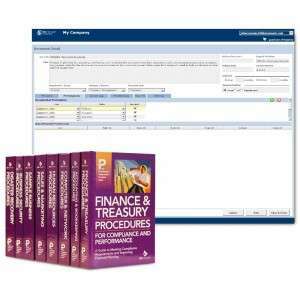 The CFO bundle contains 262 prewritten accounting procedure templates and 369 accounting forms, organized into five functional areas, or business manuals. The CFO set covers the ten core accounting cycles. 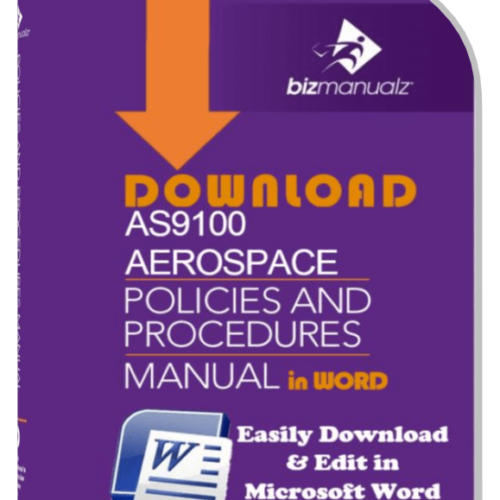 Once the manuals arrive, the next step is “find an example procedure – a model for the one you need to write”. 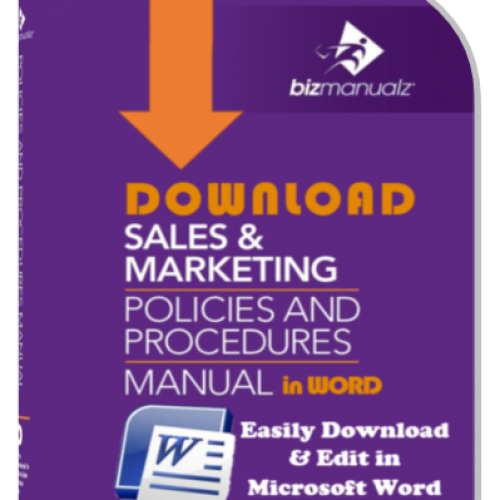 All Bizmanualz pre-written procedures are in Microsoft Word format and can be easily tailored to fit your specific business process. Let’s say you’re writing a procedure for vendor acquisition, or the “new vendor” process. Where would you start? 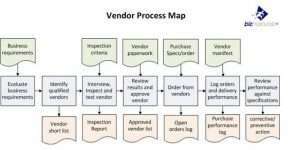 Vendor-related corrective and preventive actions. 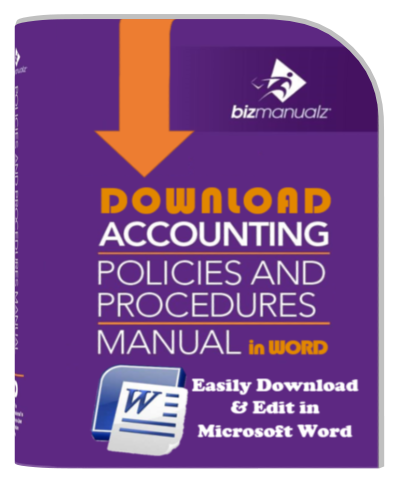 The Accounting Policies and Procedures Manual contains a Vendor Selection procedure that you can customize. How do you find it? In the back of the manual, you’ll find the “Index”. Search the index for your keyword, “vendor”. (You could also look through the table of contents in the front of the manual.) 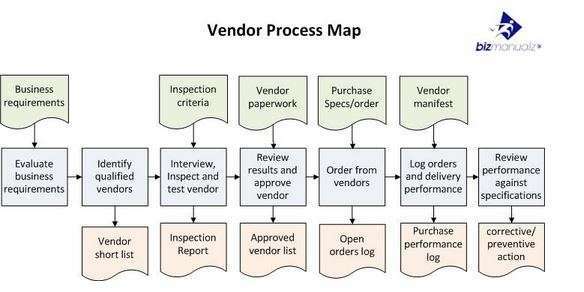 You find the Vendor Selection procedure, containing three steps, or activities (Vendor Selection, Vendor Inspection, and Vendor Files), in the “Purchasing” section. Your process consists of eight activities, so you expand the pre-written procedure, adding the other five steps, or otherwise modify the Bizmanualz procedure to reflect your actual situation. Add your process map (a handy visual aid) to the front of the procedure, and you’re done! Writing a new procedure can take between 4 and 40 hours, depending on the complexity of the process you’re documenting and whether forms are required. The complexity of a process, as well as your level of expertise in that subject, determines the amount of research — into standards, laws or regulations, references, and the like — you need to do. Forms also require time and effort to research and produce, assuming you don’t already have them. 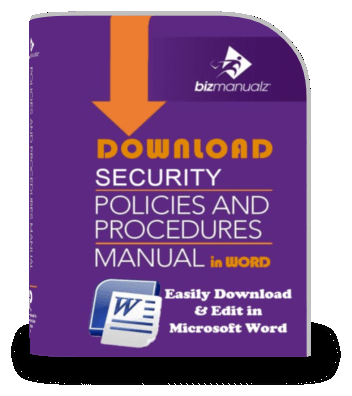 The Bizmanualz Vendor Selection procedure contains six pages of forms, including a detailed vendor inspection checklist. 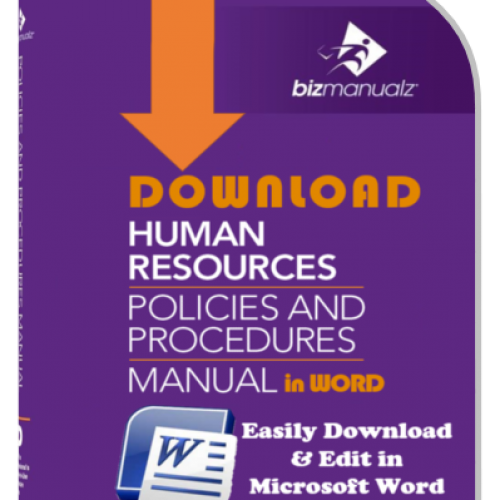 Many Bizmanualz procedures also include a “References” section, which can help you as you research certain topics. Let’s say this is a 40-hour procedure to create, with forms. 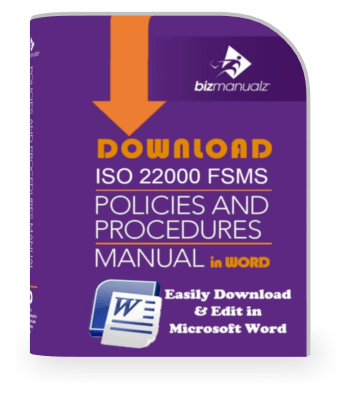 If you use the Bizmanualz pre-written procedure, with minor modifications you could have the same procedure ready in less than a day, saving yourself a great deal of time (and your eyes, a lot of wear). 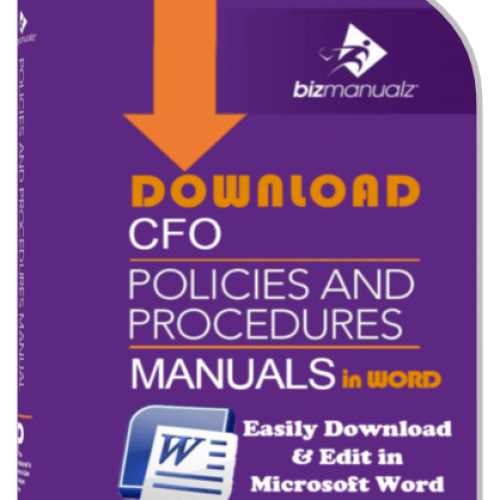 Using a single procedure, saving 38 hours of time off the 40 you planned on, practically pays for the entire five-manual CFO series. And you’re going to find more than one procedure you can adapt to your business requirements. Most companies find dozens of useful procedures, which translates to hundreds of hours of time saved, before you factor in the opportunity cost of waiting for the procedures to be completed. 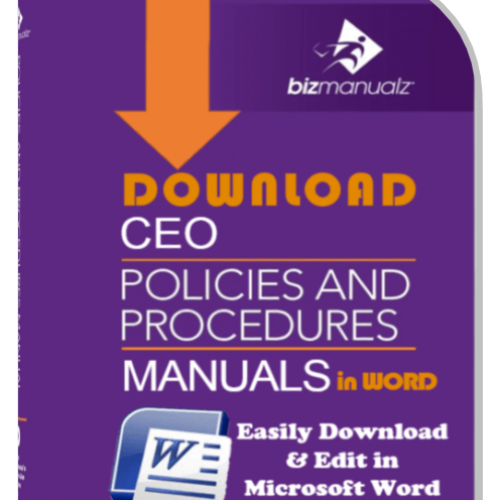 So, the next time you need to write procedures fast, take a look at the complete collection of Bizmanualz business policies and procedures. Get your procedures project done now…before the end-of-month deadline your boss gave you. 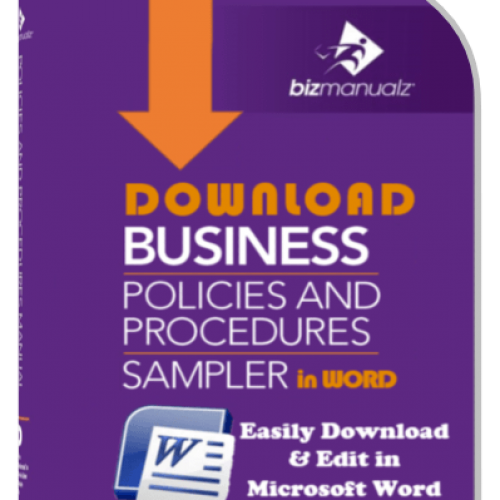 What Does It Cost to Write Policies and Procedures? What’s the Difference Between Procedures and Work Instructions?